This week our special of the week is Fried Shrimp Po-Boy created by Chef Michael Bellamy. Enjoy fried shrimp served on a hogie roll with Chipotle mayo, shredded lettuce, diced tomatoes, and shaved onions. Served with a side of housemade cocktail sauce and cajun spiced fried okra. 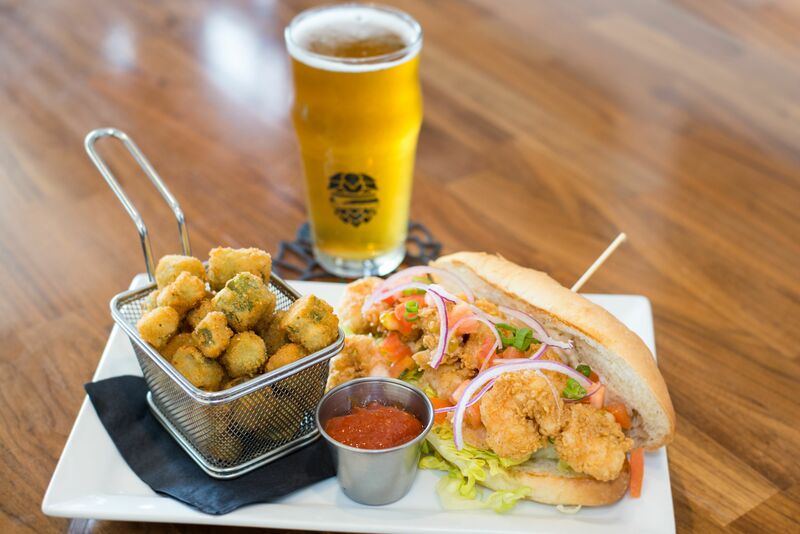 We suggest paring this Po-Boy with Ranger Creek Brewing & Distilling‘s San Antonio Lager. Jump into this Po-Boy this week!